Provides real-time bus arrival information, updated schedules and bus routes of APSRTC. APSRTC Live Track: No more waiting for the bus! APSRTC LIVE TRACK is a public transport app that gives you near accurate arrival and departure timings for all the RESERVATION BUSES Using Service/Vehicle Number. 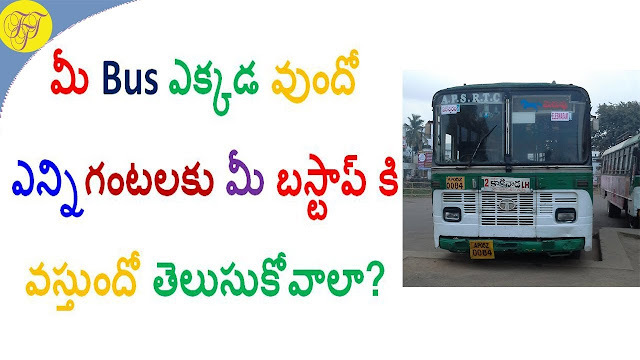 Provides real-time bus arrival information, updated schedules and bus routes of APSRTC. 3) Non Smart Phone users can send SMS to 9246022333. Now the passenger will get a return SMS with the time details of previous stop and expected time of arrival (ETA) of next stop. 4) Live tracking of the bus on google map. All passengers are requested to make use of this facility for live tracking of @APSRTC buses. 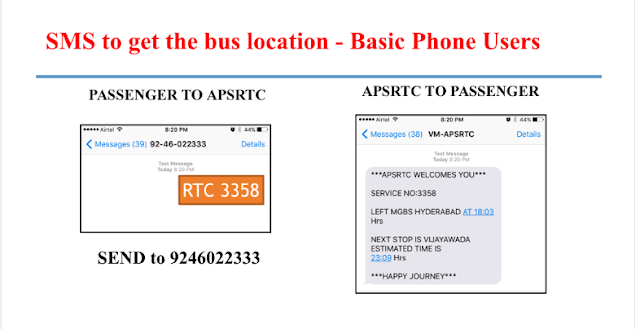 Service Number: Your service number can be found on your APSRTC reservation ticket or Your service number can be found in the SMS which was sent to your contact number. The app provides a simple and convenient way to track the real time location of your bus. Now, get the information on bus arrival at your stop, even when you are at home, office, shopping or dining. It helps you to search bus stops around your current location & upcoming buses. Active planner – Updated bus services and route information between two stops to plan your travel with ease. Favorites- Add your frequent routes to the favorite list & track the bus quick and easy. Offline mode – Passenger can view the bus schedules even without Internet connectivity. Emergency alerts – Helps to report any accident or bus breakdown to APSRTC Helpline and seek medical assistance. Auto refresh – The app automatically refreshes the data. TSPSC TRT School Assistant (All Subjects) 2nd spell Results Selection List for Certificate verification.